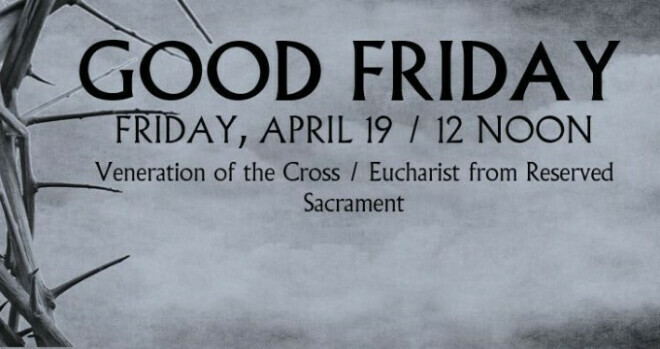 The Liturgy of Good Friday with the Passion Gospel according to St. John, the Solemn Prayers, the Veneration of the Cross, and congregational hymns. The Rev. Gretchen Strohmaier preaches.